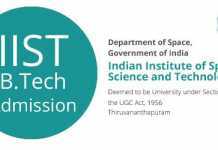 IIST or the Indian Institute of Space Science and Technology is an Institute with affiliation to ISRO(Indian Space Research Organisation and Department of Space). IIST 2019 offers both UG and PG courses, while also providing a dual degree program. IIST 2019 admissions are based upon the ranking of a candidate in the IIT-JEE examination. IIST is situated in Thiruvananthapuram, Kerala. This Institution provides ample opportunities for students, who are interested in modern technology, space exploration missions and the advancements in science as whole. In the long-term plan, a student can also work for the ISRO and be a part of an advance organisation. All the information regarding the admissions in the Institute will be made available here. IIST is a coveted institute for the students interested in the field of Aerospace. Its reputation has steadily increased with the passing time and the number of applications continues to rise every year. IIST institute works in collaboration with the Department of Space and Indian Space Research Organisation, students also have a chance to be ‘’absorbed’’ i.e. recruited by the ISRO through this Institute. The candidate belonging to OBC or the General category must be born on or after October 1, 1994. In case of SC/ST, the candidate must be born on or after October 1, 1989. The students must have secured 75% as the aggregate in five subjects during the XII examinations. 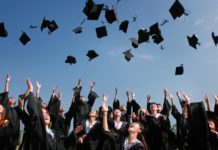 Physics, Chemistry and Mathematics are the compulsory subjects while the other two subjects include a language and the subject with the highest marks among the remaining ones. OBC students should at least score 18% of the total marks in aggregate and at least 4.5% in each of the three core subjects. SC/ST students should at least score 10% of the total marks in aggregate and at least 2.5% in each of the three core subjects. 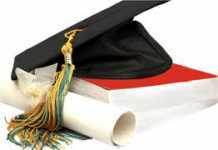 Go to the online application portal admission.iist.ac.in. Fill the details in the form provided in the link as per the instructions. IIST Registration No. and a Password will be generated. After completing the registration, pay the fees using the SBI-COLLECT. Has to report in any of the specified 15 ISRO centres for the verification of original mark sheets/certificates. The ranks will be based on the JEE-Advanced 2019 aggregate scores. If the tie still exists then the candidate whose rank was higher in the JEE Mains 2019 will be ranked higher. General and OBC Students can get a refund of their fee by the end of the semester if they secure CGPA of 7.5 or more.